Finian Road Image & Design • The Blog: Congrats to the Design Giveaway winners! Congrats to the Design Giveaway winners! 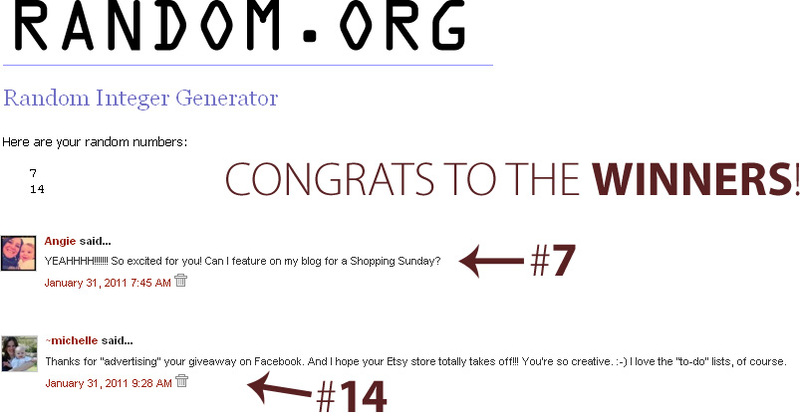 Congrats to both Angie and Michelle -- you're the random winners of the Design Giveaway!